From the moment you walk in, you'll hear laughter and see merriment and colour all around. Despite its name, Incognito does absolutely nothing to conceal its fabulousness: sequins, palms, torso statues, and flowers adorn the room, and you can't possibly miss the gorgeous leopard skin chairs. Opening daily at 6pm, incognito rages on until the morning hours, and the boss makes an appearance in a truly spectacular show every now and again. This is a regular for the trans crowd, especially because of the 'Transsisters' meetups happening on the last Friday of every month. 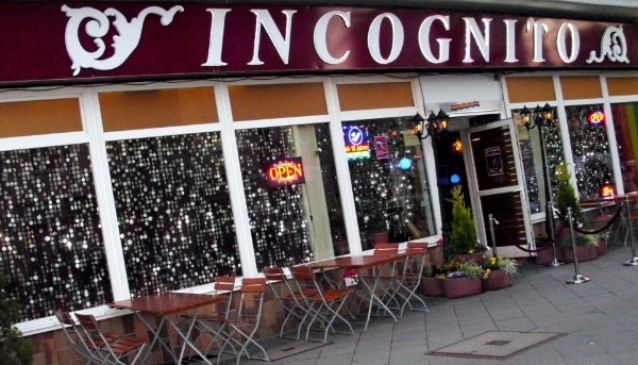 Drinks are well priced, events are plentiful, and the joyful, diverse, and international crowd is one of the highlights of a night out at incognito. Close to the Viktoria-Luise-Platz U-Bahn station.